From the earliest days of the Great War Australians volunteered to fight in the air - warfare's newest arena, and one that would transform the nature of military operations. In the squadrons of the Australian Flying Corps and with Britain's flying services, Australian airmen fought in campaigns that spanned the length and breadth of the First World War; between 1914-18 they served in the Middle East, the Mediterranean and on the Western Front. By 1919 over 4000 Australians had participated in the air war. Modest compared to some of the other British dominions, Australia's part had been the most apparent. Whereas the other dominion governments opted to provide manpower to serve with British squadrons, the Commonwealth's insistence on a distinctly national contribution ensured recognition for Australia's contribution to the empire's effort in the air. This book examines Australia's role in history's first major air war. Unlike previous accounts, which focus on the airmen of the Australian Flying Corps in isolation, this study conceives the Australian part as one of an imperial - and international - whole. 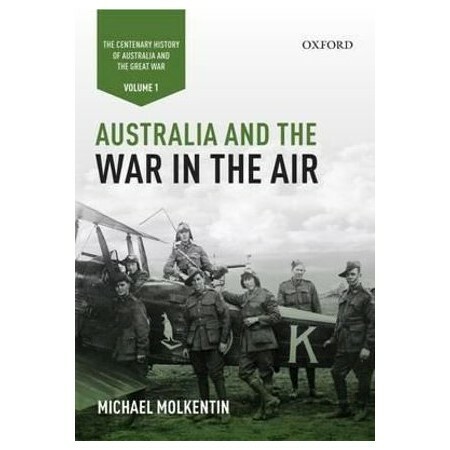 In addition to using Australian involvement as a case study to analyse the impact air power had on military operations, this study also addresses aspects of organisation, training, administration and command - as well as the imperial politics and strategic issues that contextualised dominion participation in the war. Dr Michael Molkentin teaches History at Shellharbour Anglican College and is a Visiting Fellow at the Australian Centre for the Study of Armed Conflict and Society at the University of New South Wales, Canberra. He received his doctorate from the University of New South Wales. This is his third book.